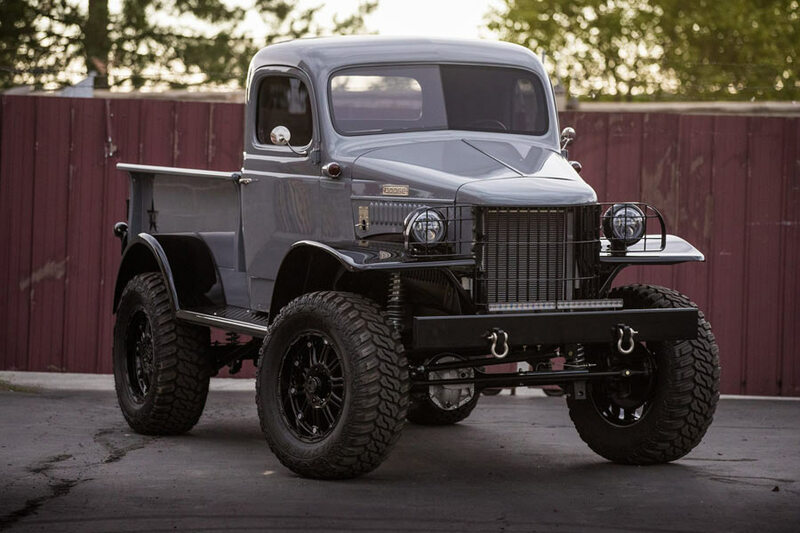 "Full Metal Jacket" is a 1941 Military Power Wagon that screams "God Bless America" from the top of its lungs! Originally introduced during WW II as WC 1/2 ton models and built to be the "go-to" workhorses, these rigs thrived on the military phrase "The only easy day was yesterday ". But, unlike those implements from the past, "Full Metal Jacket" (FMJ) ushers this Power Wagon into the present. 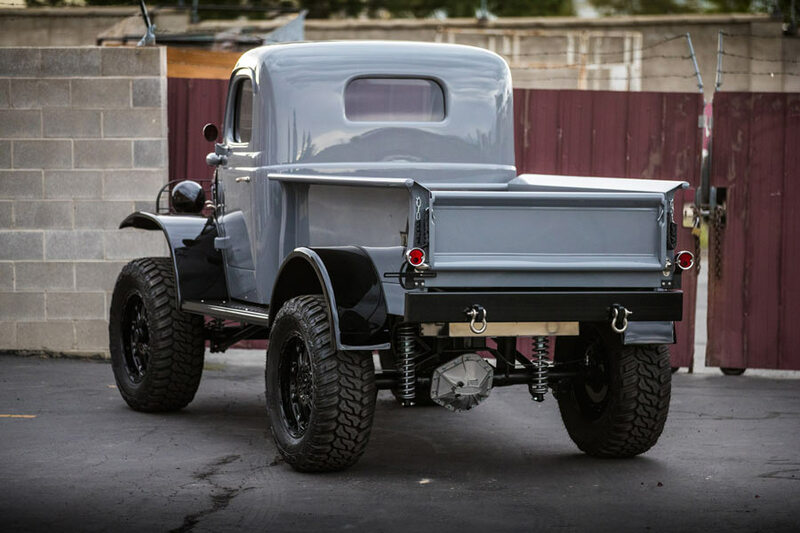 It's formidable stance is provided by a custom chassis with triangulated 4-link and 30 inch shocks. FMJ features smoothed seams and a full custom bed with Pau Ferro tropical South American wood. Inside Colt 1911s are frenched into the floorboards and fully accented with hand brushed nickel by Ogden Chrome. 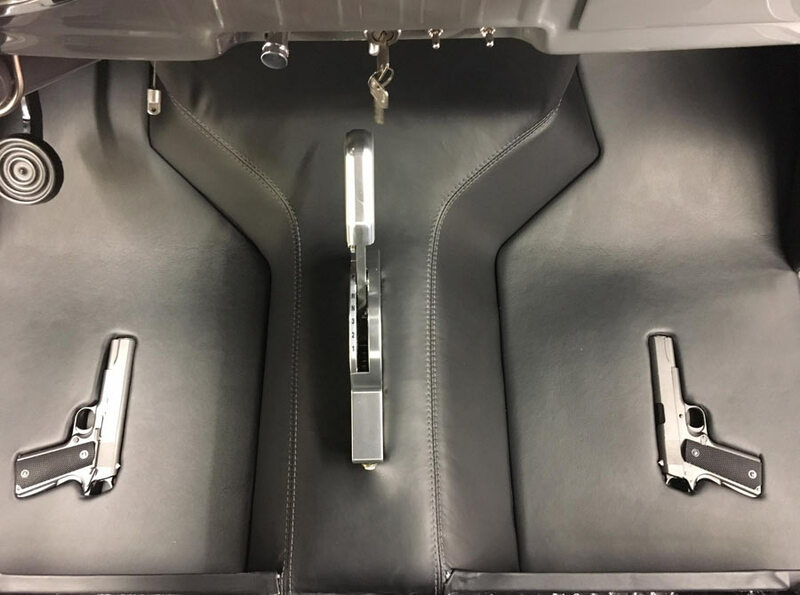 Interior by JS Custom Interiors featuring Hydes Leather, Dakota Digital gauges, KICKER audio and B&M Racing shifter. Outfitted with J.W. Speaker Corporation lighting. Wired with American Autowire. All AMSOIL INC. and Prestone top end fluids. Power is provided by a single HX35 turbo 4BT Cummins backed by a built TH350 trans and 205 transfer case. "Full Metal Jacket" is locked and loaded and ready to take the high ground. All of this simply proves Weaver Customs is where perception is reality!